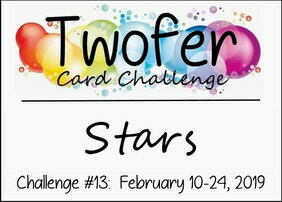 The latest challenge at Twofers, where we are asked to make two different cards using one stamp, die or stencil, is Stars. I decided to use a star stamp that was part of a recent magazine set. Here I have stamped and embossed the stars in gold, along with a line of Christmas trees. I might have chosen silver instead of gold but for some reason my silver ink pad and embossing powder have started refusing to speak to each other although they both speak to everything else. Temperamental little things! I stamped Rudolph and the sentiment on a scrap of white card and cut the top into a hill shape so that the tree line ran atop the hill, Rudolph is coloured with Promarkers and his very VERY shiny nose is courtesy of a liberal dose of Glossy Accents. 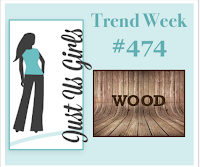 Recently I've seen several cards on Pinterest that have been stamped in brown on wood-grain paper, and thought how much they remind me of poker-work - the art done by scorching the design onto wood with the tip of a very hot stylus - that was popular in the 1970s. I thought that it would be a super technique for a masculine card. I wanted to make my masculine card romantic, avoiding the mushy hearts and flowers stuff so popular at this time of year, and what could be more romantic than Paris under a starlit sky? I used a Tim Holtz Cityscapes stamp - I think these lend themselves beautifully to DL shaped cards - and a scrap of woodgrain paper left over from another project. It doesn't quite have the poker-work effect I was hoping for - I think the stamp is too detailed for that - but I like it anyway! Wonderful Twofer, I especially like your Christmas card, that deer is too cute! Two great and very different looks. Hugs Mrs A.
Oh, my word, your Christmas card is so dang cute! The stars in gold look perfect to me, and I love the pretty line of trees on the snowy hillside. Your love card couldn't be more different and I admire it for it's no-mush masculine look. It could be used for a son or brother as well as a spouse. My husband has a wood burning kit with patterns. Hasn't seen the light of day for a while, but you remind me how cool it can look. Thanks for sharing your twofer with us at Twofer! Yes your card does look like poker work, how clever you are! 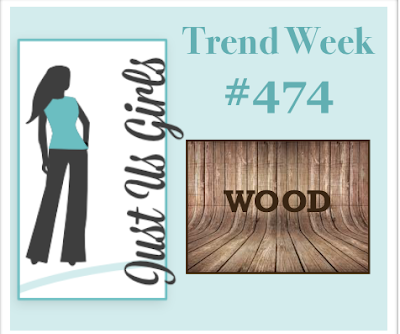 Love the grungy feel with the distressed edges and woodgrain background. 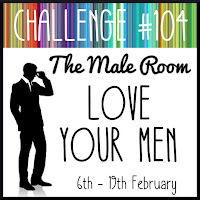 Thanks for playing at The Male Room, hope to see you joining in with future challenges too. Two wonderful cards for the Twofers. I need to get back to Christmas ones too. I have been so busy with Valentines and birthdays that I got off track again. What a darling Christmas card, those stars just light up the sky. Your male romance is perfection. Well, **Y&^%, my long comment just flew away. I'm sure I hit the wrong button. It was good, too, blast, but unfortunately it flew out of my head. So flustruating! I'll try again. Fabulous twofer and yes, definitely distinctly different! The 'poker art' replication of the Paris skyline...swoon! I agree: Paris under the stars is, indeed, romantic! Thrilled to see this gem in the Just Us Girls gallery! Amazing set of cards with stars. Love the 2nd one as poker work especially. 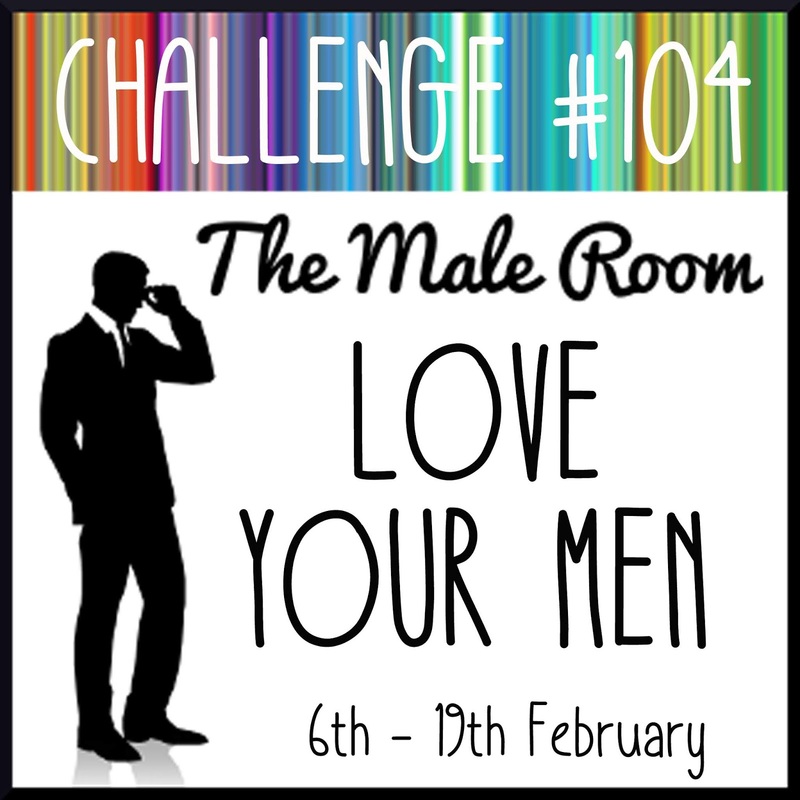 Thanks for playing along with us at The Male Room. Looking forward to seeing your creative projects in the future galleries again. G&T? Don't mind if I do! I've fallen into the big stamp trap again!